Alpine, Texas – The Texas Agricultural Land Trust, along with the Borderlands Research Institute and other local partners, will host a landowner seminar at the Espino Conference Center inside Sul Ross’s Morgan University Center in Alpine. The event is the first in a series of workshops that will be held across the Trans-Pecos focused on providing tools to landowners for dealing with oil and gas development, succession planning, generational transfer of land, and other land management topics. Scheduled for 9:30 am to 2:30 pm, the seminar will feature topics relevant to those who own or manage land or are otherwise concerned about the resiliency of working lands in the Trans-Pecos. The seminar will explore the trends in land fragmentation, how to mitigate impacts of oil and gas development, succession planning, and information about other tools and resources to promote sustainability of family lands. 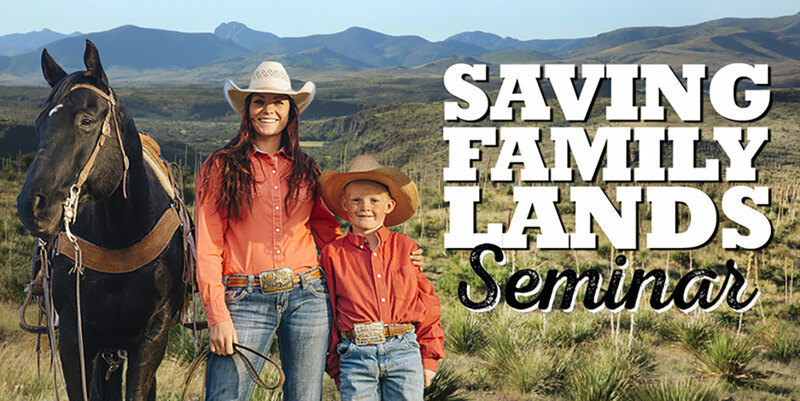 Full agenda and registration information can be found on the Texas Ag Land Trust website: http://www.txaglandtrust.org/saving-family-lands-seminar-alpine/. Additional event partners include the Texas A&M Natural Resources Institute, Caesar Kleberg Wildlife Research Institute’s Texas Native Seeds Program, Texas Grazing Land Coalition, USDA – Natural Resources Conservation Service, National Fish & Wildlife Foundation, Texas A&M AgriLife Extension Service, Texas Parks & Wildlife Department, and is generously funded by the Cynthia & George Mitchell Foundation.